Nelda Joyce Williams passed away Thursday, April 12, 2018, at her residence in Jasper, Texas, at the age of 63. Nelda was born November 21, 1954, to parents William Franklin (Red) Hall and Addie Faye Bryan Hall and had been a lifelong area resident. A graduate of Angelina College School of Nursing, she worked as a registered nurse for several years in the area, including hospital, nursing home, doctor’s offices, and home health settings. She enjoyed flower gardening, growing quite a variety of beauties, but especially azaelas and roses. Nelda had a great love for traveling and spending time on cruises. 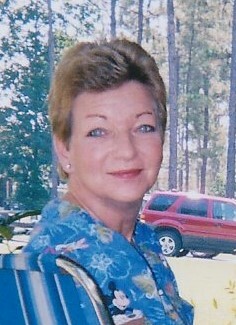 Her survivors include son and daughter-in-law, Kurt and Yvette Williams of Jasper, Texas; daughter and son-in-law, Shawna and Johnny Bradley of Jasper, Texas; grandchildren, Haylie Bradley, Lauren Bradley, Phillip Bradley, John Bradley, and Jordan Williams, all of Jasper, Texas; brothers, Gerald Hall and wife Judy of Jasper, Texas, and Darryl Hall and wife Janie of Athens, Texas; a sister, Mary Parsons and husband Cecil of Jasper, Texas; and a host of nieces, nephews, and other relatives and friends. A service honoring Nelda’s life will be held at 2:30 p.m. Monday, April 16, 2018, at Forest Oaks Chapel with Chaplain Michael Norsworthy officiating. The family will begin greeting visitors at 2:00 p.m.